Of the many hundreds of potential applications for blockchain, targeting financial inclusion is mentioned again and again. However, like most blockchain applications, people tend to talk about theory and ignore the aspect of implementation. It is as if the general public just knows what blockchain is and will adopt it because of the buzz surrounding it. 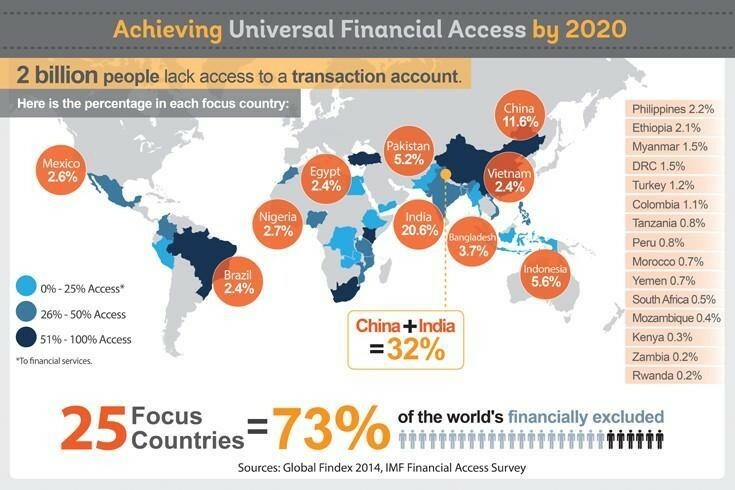 According to the Global Findex 2014 and IMF Financial Access Survey , two billion people lack access to a transaction account. Studies have shown that having a basic bank account automatically raises standards of living: people save more, they can borrow for education, start a business, buy property and so on. Yet there are some major barriers to people joining the financially connected world. So, how can we use blockchain to break down these barriers? Here are three suggestions. Know Your Customer and Anti-Money Laundering, commonly known in the banking world as KYC/AML, is a major obstacle for the financially excluded. The amount of documentation a bank is required to collect and keep up to date is cumbersome. As a result, it turns off many people as they have to gather multiple items and then at times wait weeks for verification. In certain parts of Asia and Africa, it is also difficult as it requires the person to spend a lot of time travelling. 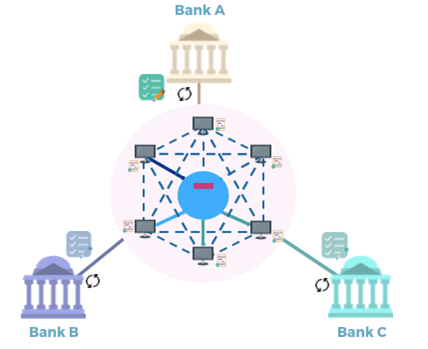 Blockchain, however, can power a KYC shared ledger that multiple banks in a region can use. With this system, only one bank needs to onboard the customer. The information collected is then validated in the blockchain and recorded. If everything checks out, then the customer has their identity added to the blockchain. Now, when that customer goes to another bank or insurer, the new institution can look up the customer, see they are already on the shared ledger and all the proper documentation has been verified. This second bank can now open the customer’s account immediately. If the customer changes jobs or addresses, the second bank can update the system and all the banks on the shared KYC ledger have the latest information. They all trust the data. As a result, banks lower their compliance costs and reduce all the friction in onboarding new customers. Imagine how happy a bank would be to have thousands of new customers. Now that customers have been onboarded, a blockchain-based payment rail allows for the fluid transfer of electronic money. People may not have bank accounts, but in many countries where financial exclusion is high, mobile phone penetration is massive. By 2020, there will be 9.2 billion mobile phone subscriptions. That’s more than one for every person on Earth. People want to be able to buy goods from neighbouring countries, migrant workers need to send funds back home, and communities want to control their own ecosystems. 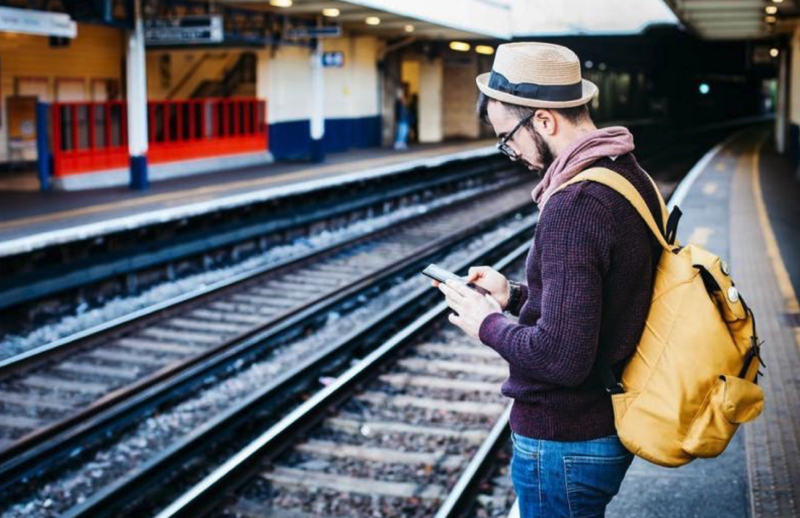 By building a blockchain payment rail and connecting it to the mobile phone, customers can easily send funds across borders quickly and cheaply. 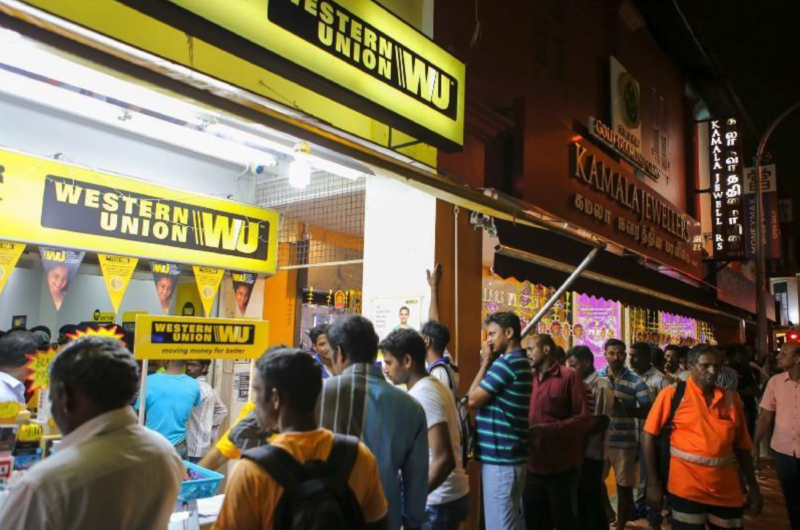 No more standing in line for hours at money exchanges. People will be able to send money right from home and still receive a low rate. The use that excites me most is that of a community deploying its own payment rail for its residents and merchants. This would prevent credit card companies from moving in and charging the small merchants 3–5% fees. The community's own blockchain payment rail could be free, or perhaps charge just 0.25%. This is possible because a blockchain-based system can be launched for a fraction of the cost of legacy systems. It pretty much comes down to too little trust, no accountability and a lack of transparency. Well, those three things are exactly what the blockchain sets out to solve. Several of the biggest challenges in insurance today are legacy systems, and processes for issuing policies and managing claims. Old technology and high human involvement for basic tasks drives costs up and raises the price. No wonder that in places like India insurance adoption is less than 5%. To sell to that market of 1.3 billion people, insurers will have to lower their costs. A blockchain-based insurance platform will allow insurance policies to be issued on to the blockchain and be transparent for all. Smart contract systems will allow for real-time claims management, so the customer doesn’t have to spend time gathering the materials, making copies, mailing them in and then waiting three to six months for the payout. Now that a lower-cost foundation has been built, the insurers can get very creative when selling to emerging markets, where people have been financially excluded. Insurers can sell short-term policies or usage-based insurance at a low cost and still make a profit. The price of things like personal injury insurance, hospital stays, and bike insurance will all come down. KYC, payment and insurance – these are three direct ways to accelerate financial inclusion using the blockchain. We work with large enterprises to give them blockchain solutions, so they can deploy products like those I've mentioned. In doing so, they are able to attract new customers, while at the same time help millions of people to improve their living conditions.